Yuying Zheng passed away peacefully on Wednesday 26th August 2015 at Prince Of Wales Hospital. Beloved wife of Zhang JIN (Deceased). Adored mother of Putai JIN & Family. 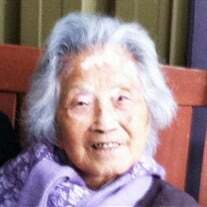 The family of Ms Yuying Zheng created this Life Tributes page to make it easy to share your memories.